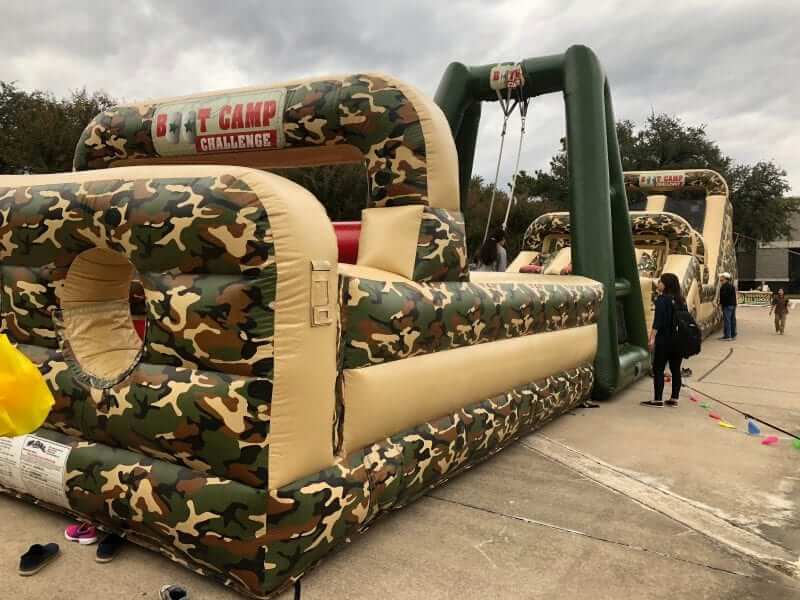 The boot camp obstacle is a 85 foot long obstacle, and it is perfect for any outdoor event. Kids starting at the age of six can enjoy the course. The boot camp obstacle has features like pillars and tires. This obstacle course also has booms and rope swing. 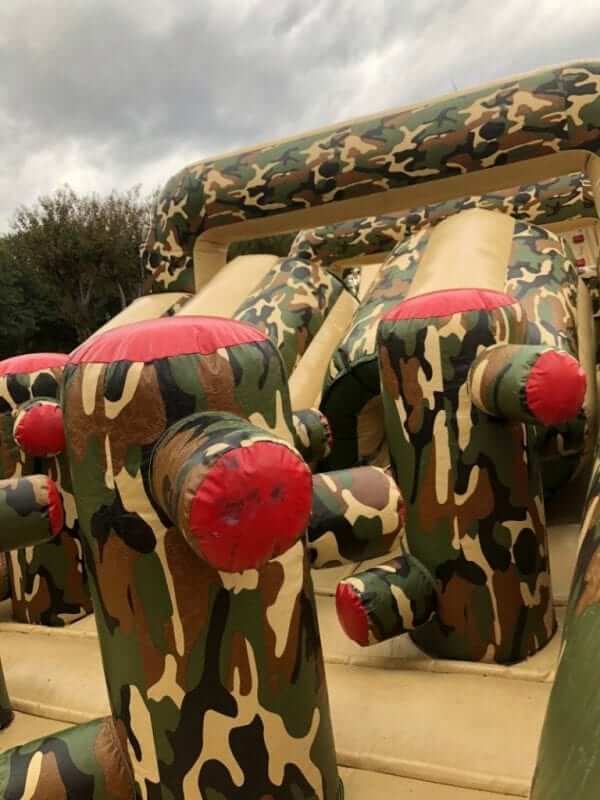 Your mission is to get through the course. 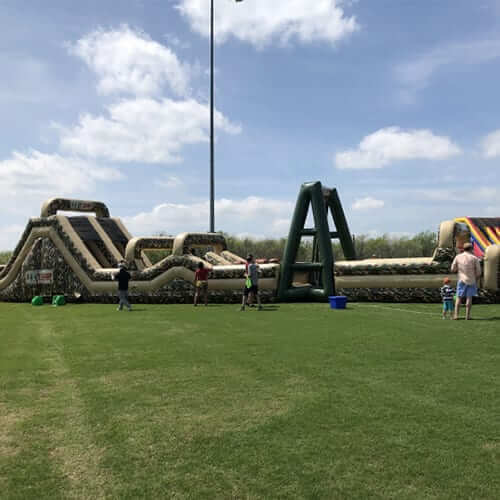 The boot camp obstacle is available in the Dallas/Fort Worth Metroplex. You enjoy the fun. Our skilled employee’s set up, manage, and take down the obstacle course without you having to get your hands dirty! Get ready for Combat as you Challenge your Opponent to the Ultimate Boot Camp Challenge. Boot Camp is an 85 foot long dual challenge for the hardy. The adventure starts with squeeze through pillars, tires and hedgehogs.